Compact sedans are an afterthought for many auto manufacturers, especially for the North American market. 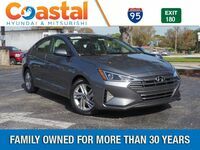 However, there are two that take their compact sedans quite seriously, and they are Hyundai and Kia. 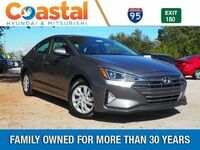 It should come as no surprise that a 2019 Hyundai Elantra vs 2019 Kia Forte comparison is a tight race. However, there is one model that pulls ahead of the other to become the dominant compact sedan. We’ll walk you through some important metrics so that you can determine which compact sedan is right for you. 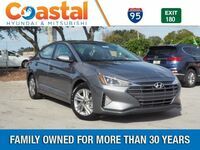 Both models are very similar in terms of size and features, but the details will prove the Elantra to be the clear victor as you will learn if you keep reading. 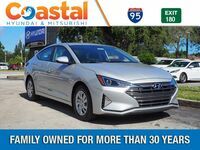 If you would just like to see an Elantra inventory near you in Melbourne, then see what we have to offer at Coastal Hyundai by clicking the link below. 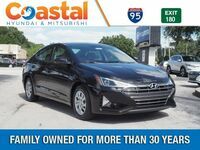 What is the best compact sedan: Elantra or Forte? 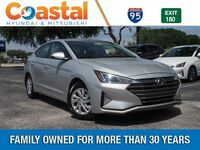 In the battle of compact sedans, price is always the first thing that you will want to consider, and here the Elantra is already showing its dominance. The starting price of the Elantra is almost $700 less than the Forte. 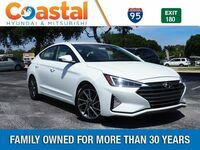 Already the Elantra is looking to save you money. It will continue to save you money out on the road too. The Elantra has a special trim that’s designed for economical driving aptly named the Eco. It gives you 32-city mpg and 40-highway mpg for a total combined efficiency of 35 mpg. Though the Forte comes close, the Elantra once again proves to be better. In the horsepower department, both models have a 147 horsepower engine standard. This is the only option that the Forte gets though. The Elantra has two more engines up its sleeve. The already-mentioned Eco gets a 1.4-liter turbocharged engine that gives you more torque than the standard. 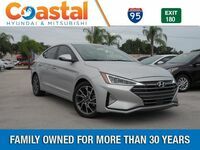 For the best in power though, the Elantra Sport provides a 1.6-liter turbocharged engine that not only delivers 201 horsepower but also provides 195 pound-feet of torque. Finally, we get to luxury. Like the Elantra, the Forte starts its lineup with cloth seats, but instead of going up to leather, it uses imitation leather known as leatherette. 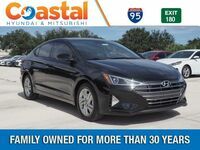 The Elantra offers real leather seating on two of its trim levels, namely the Sport and the Limited. 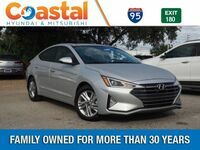 Interested in a 2019 Hyundai Elantra?